See off the sun from the very surface of the water! Floating in a magical sunset hour is surely unforgettable. Sunset trips are summer special which is operated from July to September. Please note that this is a natural and ever changing environment, no guarantee can be given that specific features such as ‘a clear-round sunset’ will be seen. 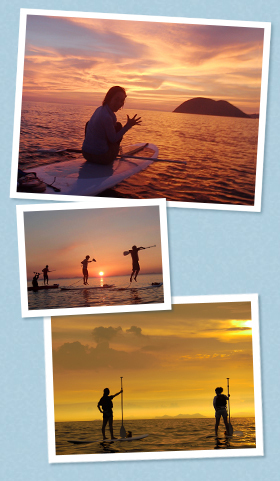 Paddle out from our base and see the sunset. *times depend on the sunset of the day.